I remember sitting at the Bostoner Rebbe's tish in Boro Park, about 16 years ago, when the Rebbe spoke about R' Shmelke of Nikolsburg – the Bostoner Rebbe being a descendent (the eighth generation in a direct line from R' Shmelke) – and stated that after the passing of the Maggid of Mezritch, the Chassidim all initially went to R' Shmelke as the next rebbe. Of course, being a direct descendant, we can understand where his loyalties lay, but indeed we know that R' Shmelke was the leader and Rebbe for the vast majority of the Rebbes of Galicia and Poland. The Maggid remarked about R' Shmelke that, "I found a chest of unlit candles; I lit one, and from that candle all the others were ignited, providing great light." 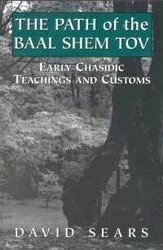 Although R' Shmelke and his brother did not come from a Chassidic background, and were even skeptical, R' Shmelke's father, R' Zvi Hirsh of Tchortkov (the same R' Tzvi Hirsh Tchortkover that famously gave the brocha to R' Moshe Amshel Rothchild) did have a positive relationship with the Baal Shem Tov – who praised him greatly – and was a widely recognized tzaddik. He had a large family, including five sons of note, the most famous being Reb Shmmuel Shmelke (the second son) and R' Pinchas (the third son) – also of interest is that their fourth son, R' Yehoshua Heshel passed away on 7 Nissan 5491/1731 as a healthy young man at the age of 15. 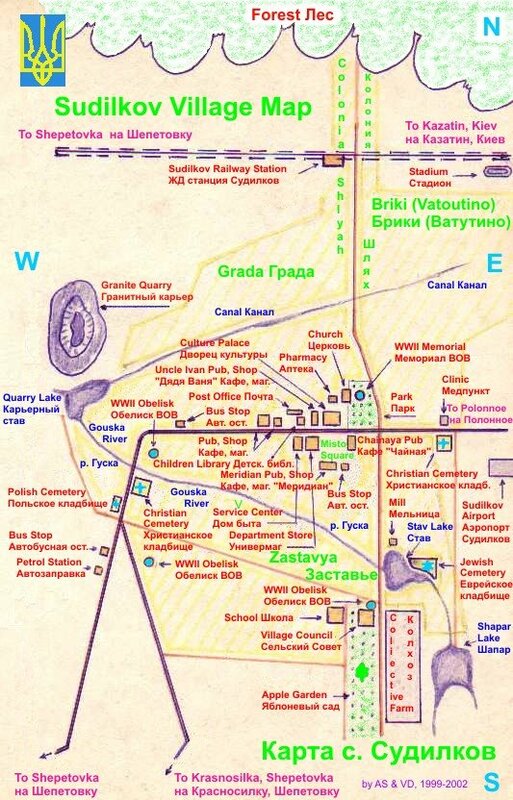 It is written on his gravestone in Tchortkov that he saw that he was needed in the mesivta d'rakiya to serve on the Heavenly academy so he prepared himself and peacefully returned his soul to its Maker. His mother, Rebbetzin Malka, was famous for her devotion to the chinuch and raising of her children; she is said to have remarked about her sons R' Shmelke and R' Pinchas, "I have two sons – one who never says Birchas Hamazon, and one who never says Krias Shema shel Mita..." ( i.e. one who never eats and one who never sleeps) Indeed, R' Shmelke avoided worldly pleasures, and was known to hardly eat any food at all, while his brother R' Pinchas was known to eat considerably – causing R' Pinchas to comment: 'Two brothers: One stuffs himself like an animal, while the other is comparable to an angel." And to which, R' Shmelke responded: "Not so! Rather, two brothers: One a High Priest, that through his eating is able to rectify all food as on the Holy Alter, and one, through his many sins, is a simple man of flesh and blood." R' Shmelke came from an illustrious family, one of at least three families that can trace their roots all the way back to Adam HaRishon (Shapiro and Margolis are the other two famous ones), he was a descendant of many great luminaries such as the Shelah (R' Yeshaya HaLevi Horowitz 1570-1626) and Shmuel Hanavi – about whom R' Shmelke stated while on his deathbed: "The time of my passing has come. Know, I contain a spark of Shmuel HaNavi – I share his name, I am a descendant of his and I lived 52 years as he did, but he was 'Shmuel,' and I remain 'Shmelke'" (and as such he was, of course, also a descendant of Korach, as was his student, R' Yaakov Yitzchok haLevi Horowitz, the Choze of Lubin - who was known to refer to his famous antecedent as "the Zeide Korach"). It has also been said by some that the fourth Lubavitcher Rebbe – R' Shmuel, who's birthday (2 Iyar 5594/1834) follows the yahrzeit of R' Shmelke (1 Iyar 5538/1778) – may have been named in connection with R' Shmelke, and who was also known to have commented about his containing a spark of Shmuel Hanavi. R' Shmelke and R' Pinchas were extremely close brothers. They had established a yeshiva where R' Shmelke was rov in Ritchval, Poland (among the students were R' Yisroel (the Maggid) of Koznitz, R' Yuzpa (known as "Yuzpa the righteous) and R' Levi Yitzchok of Berditchev), when (circa 5522-5525 /1762-1765) they finally decided to make the trip to meet the Maggid – and due primarily to the efforts of R' Zusia of Anapol and R' Avrohom of Kalisk they became close adherents to the Mezritzcher Maggid and Chassidus. They both became part of the inner circle of the Maggid's students, after which R' Shmelke became the leading Chasidic figure and disseminator of Chassidus in Poland, counting the Koznitzer Maggid, the Chozeh of Lubin, R' Moshe Leib Sassover and R' Mendele Riminover among his students. Not unlike R' Menachem Mendel of Vitebsk in White Russia / Lithuania to the north, R' Shmelke carried the torch of Chassidus to the west – and quite interestingly in fact, the two of them share the same yahrzeit (1 Iyar), albeit 10 years apart. Subsequently, R' Shmelke became rov in Shinova and then in 1769 the communities in Nikolsburg (former home of such notables as the Tosfos Yom Tov & R' Yonason Eibishitz) and Frankfurt both sought a rov and sent requests to R' Shmelke and R' Pinchas. Ultimately R' Pinchas went to Frankfurt and R' Shmelke to Nikolsburg, while R' Elimelech of Lizensk replaced R' Shmelke as rov in Shinova. I have always found it interesting, somewhat perplexing actually, that both R' Shmelke and his brother R' Pinchas ended up leaving the region where Chassidus flourished – and relocated to areas where the Haskala was stronger and the ways of Chassidus less acceptable: Frankfurt in Germany and Nikolsburg, not far from Prague in Moravia (today it is known as Mikulov and is located in the Czech Republic). In fact their children did not grow up to be Chassidim, and it seems that they served their communities in various ways in line with the non-Chassidic establishment. There are even many who claim that the Hafloh had nothing to do with Chassidus and question if he ever had a relationship with the Maggid – and while this is ridiculous, we can see that even a suspicion of that type is significant. In his seforim, predominantly on Nigleh matters, scarcely a Chassidic word is discussed, and subsequently we see that their children had nothing to do with Chassidus – their descendants, however, did eventually rejoin the Chassidic world. When R' Shmelke came to Nikolsburg all the scholars in the vicinity came to hear his drasha. At the outset he began by quoting and discussing many secular matters and sciences, after which he continued on to deliver a detailed Talmudic pilpul and words of mussar. The audience was famously astounded, and it is written about by a number of the attendees; those who knew him to be a scholar and baal-mussar were shocked at his knowledge of secular matters. Subsequently, he explained that, "I intended to speak words of mussar to inspire and awaken the assembled, but I knew that they wouldn't accept it since they would say "it's easy for him to speak words of mussar – he has no involvement in worldly affairs," so first I had to prove that I am quite aware of worldly matters, and nevertheless, Torah and our traditions is the essence of life…"
R' Shmelke struggled considerably in his life from his opponents, especially in Nikolsburg; at one point he exclaimed: "Master of the Universe! What have I done to deserve such persecution when other rabbis are able to serve you in peace?" And on that day Eliyahu HaNavi ceased to visit him, after which he fasted 40 days for his comment, and subsequently, Eliyahu visited him again and said, "Believe me, my son, when you begin to pray all the angels and seraphim are unable to approach you – but so it has been decreed in Heaven, and we cannot question the ways of Hashem." In 5535/1775 his opponents, according to some sources led by Moses Mendelsohn, complained to the government in Vienna that R' Shmelke was uneducated and led his community in an extremely unenlightened manner. R' Shmelke traveled to Vienna where he met the queen and government ministers and displayed incredible knowledge of the German language and its dialects as well as the sciences, and it is said that his handwriting in German was so beautiful that it remained in the museum there. As it happened, he stared at the ground rather than look at the queen, who demanded to know why he refused to look at her, to whom he answered: "I stare at the ground, since it is from the ground that I am taken." The queen and the officials were so impressed by his knowledge and wisdom that they gave him full authority as rabbi of all of Moravia, and as such they asked him if his enemies should be executed. But R' Shmelke asked that they not be executed, and instead banished from his community – so they were sent to Berlin. The Sochachover Rebbe lamented this however, complaining that had R' Shmelke allowed them to be killed, Klal Yisroel would have been saved from the damage later caused by these reformers. 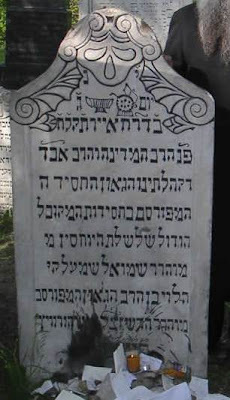 Three years later, on Tuesday, 1 Iyar 5538/1778 he passed away in Nikolsburg. 1. Bechol Dirochecha Daehu – To serve G-d in all our actions, from the most mundane to the most sublime. 2. To guard against any Bittul Torah – time wasted from torah study – and to be sure to guard against Torah study lacking in love and awe, for study without love and awe arouses G-d's anger. 3. To remember how Torah and G-d are one – and study of it must be for its own sake. Be aware of the path that connects one to G-d.
4. Guard against Torah study not for its own sake, as such study is an elixir of death – seek to remain pure even of any foreign thought. 5. Study Tanach every day, until it becomes familiar to you. Study Mishnayos every day, and Gemora in-depth, for in-depth Talmud study breaks the klipos – as long as it is Torah for its own sake. 6. Study ethical works (musar) every day, especially Reishis Chochma – study it carefully and review it twice so that you'll remember it. 7. Know the 613 Mitzvos fluently; review it at least once a month. 8. Take special care to keep Shabbos according to halacha, together with all the stringencies that the earlier and later chachomim practiced. 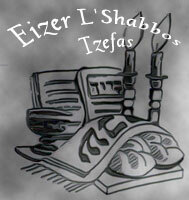 Constantly keep Shabbos in mind, as it says, "Remember the Shabbos day" – don't take the mind off Shabbos at all. 9. Take special care to keep an account of your actions, and review the days activities in every night – if a sin was committed, G-d forbid, ask forgiveness immediately, and donate money to charity as a penalty. 10. Never speak of mundane things, only things that are essential, from the time one awakes, until one hour after prayers – and only with one's wife or children if absolutely necessary, and even then keep it to a minimum. Furthermore, avoid any casual speech at all – only what is necessary for one's livelihood and other essentials – as the verse, "Vedibarta bam (to speak of holy things), and not of mundane things." Obviously, when one has a moment to study than other speech or thoughts are forbidden, and when one is unable to study, still contemplate your connection with G-d and not to remove one's thoughts from G-d for a moment, G-d forbid. Certainly, one must not speak of foreign things, or evil speech & silliness, which are the cause one not to merit to greet the shechina, as explained in many places. Also, do not speak of the mundane between Mincha and Maariv. 11. Take special care to show honor and respect to the poor as much as possible - especially to have proper poor people as guests at the Shabbos table, or at least Yom Tov, or at least on Succos (as Succos is especially connected to guests, as we see from the Ushpizin). Before every Shabbos and Yom Tov, give gifts to the poor to the best of your ability. 12. Be sure, at least once a week, to devote oneself to contemplation, repentance, Torah study and prayer, and not so speak of mundane things the entire day, and to read the Torah sections pertaining to Teshuva and Fear of G-d with concentration. 13. Pray with contemplation and without any foreign thoughts, G-d forbid. 14. Take care not to transgress the laws of bodily cleanliness, and to relieve oneself prior to prayer. Also, to be sure to donate something to charity before praying. 15. Be sure to say the Shema before going to sleep at night as arranged by the Ari Zal. Be sure to sleep in tzitzis, to say Tikkun Chatzos every night, to study a few chapters of Psalms every day, and to say L'shem Yichud prior to every mitzvah. 16. Be careful never to use G-d's name in vain, and should one accidentally transgress he should immediately take excommunication upon himself, and seek out a group of thirty people to reinstate him. 17. Say Parshas HaYirah & Parshas HaTeshuva every day and at least on fast days, after concentration and contemplation. 18. Take special care to avoid haughtiness. 19. Take special care not to look at women and girls, Jewish or non-Jewish, for it brings to desire. In addition, do not look at their clothing, their bed, or one's wife while she is forbidden. Do not look at animals while they cohabit, or any impure thing. Never come in physical contact with a married woman, G-d forbid; never look at one's bris, or at undressed men in a bathhouse or the like. 20. Take special care to donate 20% of one's money to charity, and certainly at least 10%. Be sure to fulfill a mitzvah that comes your way; avoid depression and serve G-d with joy – since depression is almost like idol worship, for it means that one is displeased with G-d's decree. Like Shmuel HaNavi and R' Shmelke, the Degel aslo was niftar at the age of 52. He is one of the few tzadikim that is called "the Rebbe Reb" like Reb Meilech. I heard that Rav Avrohom Pam was once giving a shiur in Yeshiva Torah Vadaas and someone mentioned something in the name of "Reb Shmelke". Rav Pam responded "you mean the REBBE Reb Shmelke"
I konow someone that was in the shiur when Rav Pam zatzal said that. They were learning sefer Haflah (brother of the Rebbe Reb Shmelke)on Gemara and one of the buchurim was reading from the Haflah where he quotes his brother and the bochur read "Reb Shmelke says..." to which Rav Pam corrected him and said the "Rebbe Reb Shmelke"
CE, you really outdid yourself with this posting. You are missing your calling in life: you could be writing wonderful Judaica seforim and living off the royalties (albeit in a one room cabin on Berel's hilltop in Tannersville)! Thanks - Halevai (to the first part anyway ;-)! CE - To what degree are the Haflaa's seforim like "Panim Yafos" learned today in Chassidic communities? I dunno. You see it around in shuls and places like that, but it's not a sefer that I hear quoted often.